Suite of Full-Featured & Royalty Free Document Imaging Toolkits delivered as .NET components enabling developers to compose, display, capture, edit and print documents into they Dot Net applications. 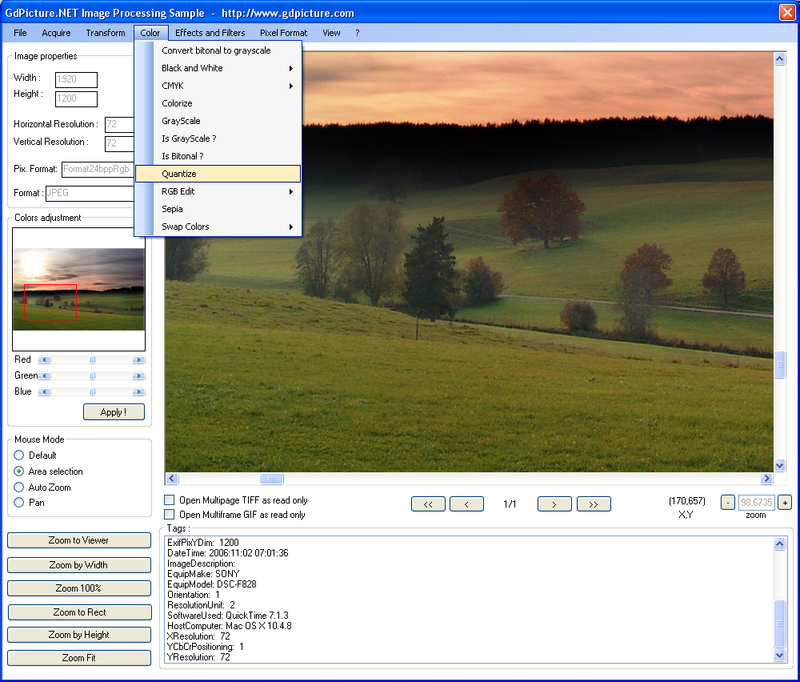 With GdPicture.NET your programs will be able to display documents, acquire image from TWAIN scanners, make image processing, perform optical characters recognition and many other features covering all mainstream areas of document imaging. - Load / Save image in more than 50 formats. - Load / Save image & PDF on FTP & HTTP servers. - Copy / Paste image from the clipboard. - Create image from screen capture. - Display Raster Images, Metafiles & PDF within a full-featured document viewer. - Print Image & PDF with complete control over the printing process & using featured printing dialog box. - Manipulate multipage TIFF image (insert, remove & swap pages). - Manipulate animated GIF image (insert, remove & swap frames, set frame delay & disposal method...). - Convert an image from one bitdepth to another. - Draw barcode, image, shapes and text. - Support all TWAIN 2.0 features for image acquisition. - Directly access to bits of an image. Qweas is providing links to GdPicture.NET - Document Imaging SDK 6.6.0 as a courtesy, and makes no representations regarding GdPicture.NET - Document Imaging SDK or any other applications or any information related thereto. Any questions, complaints or claims regarding this application GdPicture.NET - Document Imaging SDK 6.6.0 must be directed to the appropriate software vendor. You may click the publisher link of GdPicture.NET - Document Imaging SDK on the top of this page to get more details about the vendor.